Coaster Cycles is excited to announce our new Experiential marketing division. With all the growth of experiential, our team is eager to get more involved in this space building and creating impactful marketing experiences all on 3 wheels. We will leverage our very own in-house manufacturing and media capabilities in offering unique sampling Bikes to our valued brand and agency partners. Everything we have ever done at Coaster is rooted in customer experience and now it’s time to take it up it up a notch. It is important we become more immersed in different touch points of our business and industry. Our goal with launching this new division is to expand our reach and get more involved with custom fabrication of special projects and selling our custom fleet of bikes. 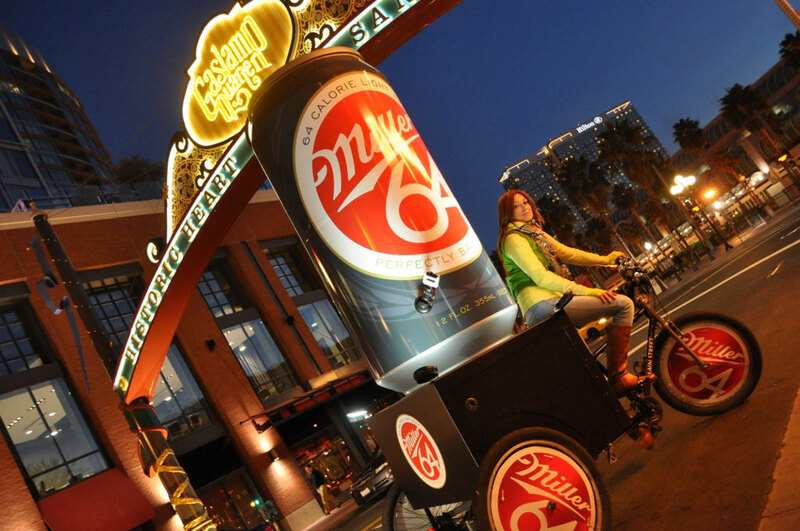 From beer bikes to coffee bikes to DJ bikes, we can pretty much build anything and yes, we mean everything. Jedd Davis will help lead the new Experiential Division as Marketing Director. Jedd adds a new, unique flare to the Coaster team with an impressive background in Experiential Marketing. He has 10+ years of promotional and event marketing experience, representing some of the top agencies and brands in the industry. In addition to his marketing experience, a few of his other specialties include Account Management, Event Planning, Logistics and Execution, Design and Fabrication of Special Projects and Team Management. Ben Morris, CEO always thinks with the mindset “Where else can three wheels take us” and is excited for this new venture in contributing to company growth.